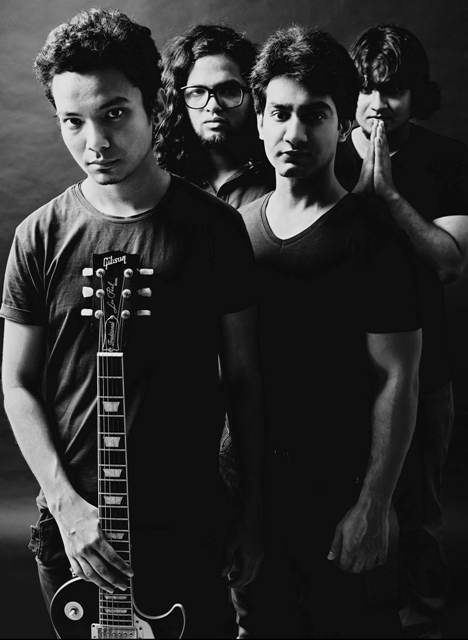 German music equipment company Sennheiserâ€™s very first search for Indiaâ€™s best emerging bands came to a close last week as Delhi-based Hindi rock band The Local Train were announced the winners of the nationwide talent hunt. Launched on May 1st, the competition invited both upcoming and semi-professional bands to send in their entries and almost two months of judging, promoting and online voting, the top 50 bands were revealed. Says Ramit Mehra, bassist of The Local Train, â€œAn endorsement deal from Sennheiser is what we were hoping for because itâ€™s going to help us in our live shows so much. As a band, weâ€™re always thinking of backline equipment that is not available, we made a big wish-list three years ago which included various Sennheiser monitors, drum mics etc. And hopefully, this is happening without us having to make that investment.â€ The band, who is currently wrapping up a video shoot for a single called â€œYeh Zindagi Haiâ€ from their upcoming debut album, will also go on an album launch tour around the end of August, possibly in collaboration with Sennheiser. Also from Delhi are runners-up Shadow and Light, a jazz/easy listening duo comprising music producer Anindo Bose [also the owner of Plug nâ€™ Play Studios in Delhi] and Hindustani classically trained vocalist Pavithra Chari. Apart from winning an evolution wireless D1 set, the band has earned themselves the opportunity to record with one of Bollywoodâ€™s top production studios, Flying Carpet Productions, with Ashish Manchanda in Mumbai. â€œWe are very excited and are looking forward to recording new material there or even collaborate with musicians there! This experience has given us fresh hope and motivation to write and compose more, and with confidence,â€ says the band. Claiming the third place are Nagaland folk act Purple Fusion who have also won an evolution wireless D1 set, Sennheiser headphones and cash vouchers from Amazon, which they plan to use to upgrade their musical equipment. â€œIf we do get the chance to meet the judges, who better to learn from and interact with, if not from these successful senior musicians?â€ says vocalist Lamtsala H Sangtam, referring to Hindi film composers Shankar-Ehsaan-Loy and Salim-Sulaiman. Apart from this, the top 50 rankers will receive a number of discount vouchers from Sennheiser India and cash vouchers from Amazon India.